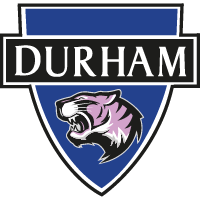 Durham Women FC can confirm that, due to work and other commitments, Helen Alderson will be stepping back from the first team squad. 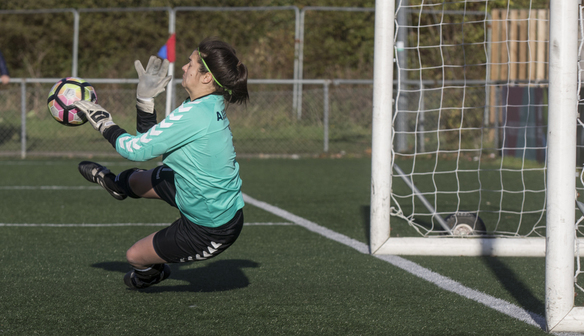 Alderson joined the Wildcats in 2015 after a spell at Sunderland Ladies, with the stopper having burst onto the scene at the Lady Black Cats while still a teenager. A popular figure both on and off the pitch, Alderson featured over 50 times during her time at New Ferens Park and played her part in our sustained on-pitch growth. With international honours and FA Cup final appearances to her name, Alderson has enjoyed an illustrious career - but will now step back from the first team ahead of the 2018/19 FA Women's Championship season. "It's been a very difficult decision to make but, due to increased demands and the growing professionalism of the league, it has made it more difficult to couple a full-time job with football at this level," said Alderson. "I absolutely believe that Durham will be challenging for the title this season but, in order to do this, they need everyone to give 100% commitment which sadly I cannot give. "I've thoroughly enjoyed my three years with Durham and I would like to place on record a massive thanks to Lee Sanders for making me fall in love with football again - he has shown belief in me and gave me a big opportunity when he signed me. "I'd also like to thank Mark Bell who has been a fantastic goalkeeping coach and has ensured I continue to learn even at my old age! "It's been a privilege to play alongside all of the girls and I've got nothing but the upmost respect for all of them as they show such great commitment to the club and continue to compete at a high level. "Thank you to everyone at the club, I've been proud to be a part of a side that conducts itself so highly on and off the pitch and ensures that staff and supporters are treated properly under constantly testing and changing circumstances. "The team have progressed hugely in the three years I have been here and I can look back at my time at Durham with only positive and happy memories." Manager Lee Sanders added: "Helen has been great for us since joining and I'd like to think we have played a part in her regaining her confidence in and love for football again. "She's had an extremely successful career with international experience and. of course, the huge part she played over at Sunderland and the success they had at the time prior to the FA WSL. "She's been popular in the dressing room in her own 'unique' way and has had some outstanding performances for Durham since joining. "This isn't a knee-jerk decision and it's not an absolute finish for her - she's been involved at senior level for 14 years now and feels she needs to start winding down. "We have chatted at length about time to find a suitable replacement and Helen will still be around the club, training and supporting the other senior teams and keepers within the club without the demands of a first team schedule. "On behalf of everyone involved with the first team past and present I'd like to thank her for her contribution to the growing success we've experienced over the last three years."